This was another good week. I didn’t have as much work though, so that got me down a bit, I always get a bit down during the less busy weeks. 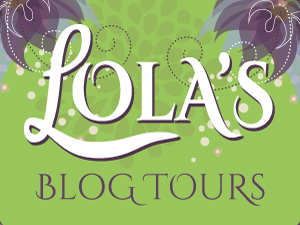 I did work on rewording the service page on Lola’s Blog Tours and changed some other minor things. I filled up my extra free time by baking pumpkin cookies, doing some blogging, more blog commenting on other blogs than normal weeks and I even got some colouring and gaming in. My boyfriend got a new game that we can play with local co-op, it’s called cript of the necrodancer where you have to move on the beat of the music and kill enemies. It’s so addictive and a lot of fun. I also placed an order to an asian supermarket close by as we were almost out of soy sauce and I wanted to buy japanese curry paste as well and they had free shipping costs this week. 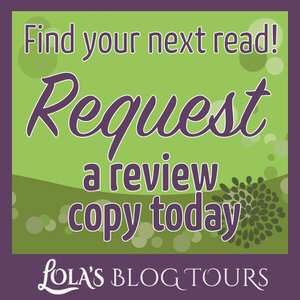 And I added an extra menu item to the menu bar on Lola’s Reviews so that it links directly to Lola’s Blog Tours. I saw it on a few other sites and planned to eventually figure out how to do it, but it wasn’t really a priority so I didn’t look into it yet, but as I had some extra free time this week I thought why not try to figure out how to do that. A short google search later and I had the answer. In your wordpress dashboard at menu you can add something called custom links. Just add the name and the link and add it your custom menu. There are still a few days left to enter the giveaway a group of bloggers including me is hosting. 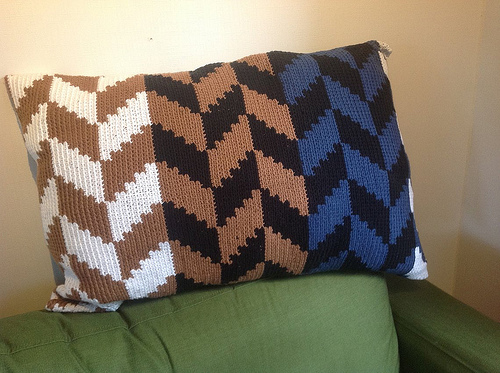 You can win one of the two kindles we’re giving away. You can enter the giveaway here. I started this challenge with 33 posts scheduled. I hope to end with at least 40. 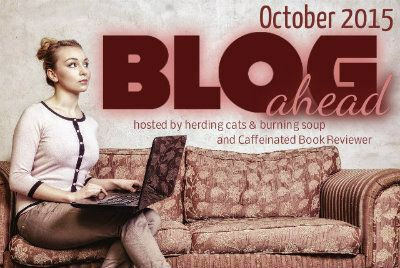 I got quite some posts written for october, 2 reviews, the my to-be-read list post for this week and two cover reveals for later this month. I still got a few more open spot for reviews this month, before I can start working on reviews for next month. I also planned some Lola’s Kitchen posts for december. And I actually got some post for November and later written as well. One of my favourite veggie burgers! Losely translated these are calles Javanese Snitzels. They are flavourfull and even better with a bit of salt and pepper on them. I often eat them when we eat something like mashes potatoes or as dinner with some baked red bell pepper and onion on bread. What’s your favourite meaty or veggie burger? One of my favourite evening snacks lately, these are called “Eierkoeken” in dutch. Literally translated egg cookies, which isn’t completely what they are, they are very soft and fluffy, almost like cake, but with more eggs I think. They are yummy and fill quite well too. And the curry packages I ordered arrived. I am going to make japanese curry with these next week after my failed attempt last time to make the curry paste from scratch I decided to just buy a package and make it that way. – Lola’s Ramblings: What do You like to see in Stories? When Jill’s elderly friend, Miss Emily, calls in a fit of pique, she already knows the city council is trying to force Emily to sell her dilapidated old house. But Emily’s gumption goes for naught when she dies unexpectedly and leaves the house to Jill–along with all of her problems. . .and her enemies. Convinced her friend was murdered, Jill is finding the list of suspects longer than the list of repairs needed on the house. But Jill is determined to uncover the culprit–especially if it gets her closer to South Cove’s finest, Detective Greg King. Problem is, the killer knows she’s on the case–and is determined to close the book on Jill permanently. . .
Jordyn wasn’t careful with what she wished for. After making a reckless choice that destroyed her life and the life of her high school sweetheart, Jordyn fled her small town to be a professional mermaid. Being around water suppresses her earth-based magic, something she desperately needs. Yet Jordyn can’t suppress who she really is – a witch. When she learns that her mother is dying of cancer, she returns home. But it isn’t until people end up dead and everyone points fingers that she realizes her past is coming back to haunt her. Because her ex-boyfriend Zach has been waiting for her. And he hasn’t forgotten how she brought him back to life that night three years ago. Jordyn will finally have to embrace being a witch to learn the truth. And it will change her life forever. After a failed assassination attempt on a corrupt general, Bao Yang is a wanted man. Taking refuge with an ally, Yang accidentally compromises the man’s daughter when they’re discovered alone. To save her honor, he must marry the beautiful Jin-mei immediately! In Yang’s arms, Jin-mei feels alive for the first time. 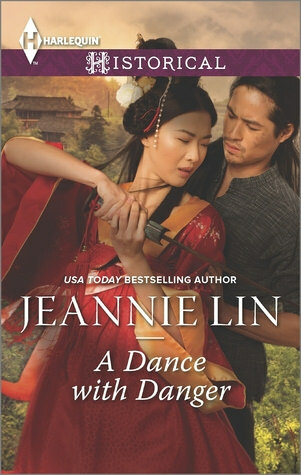 She’s determined not to lose him, even if it means joining his perilous mission… But when she realizes just how destructive Yang’s path could be, can she convince him that their life together could be so much sweeter than revenge? Good luck this week Lola. I hope so too. I don’t like those with less work. 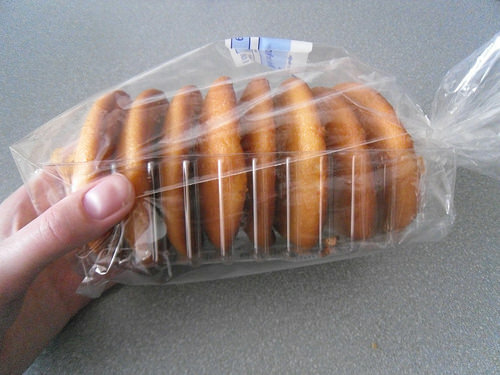 I buy these mini eierkoeken almost every week now, they are so tasty and make for a great evening snack. They have vega versions of those burgers too, with saté sauce in the middle, they are very good. One of the few other vega burgers I really like. I recently also bought the meat version for my boyfriend to try out. I’ve been trying some very tasty food from Turkey and Greece over the last 10 days, stuff my local shops are starting to stock. Very tasty! Can’t remember the name of it now but I had these crispy pastry pancakes filled with feta, soft cheese, parsley, mint and coriander, plus a tomato sauce dip and it was YUM! I plan to get a few of them in when I next go shopping! Oh that’s neat your local shops stock some food from Turkey and Greece. Those crispy pancakes sounds yummy! 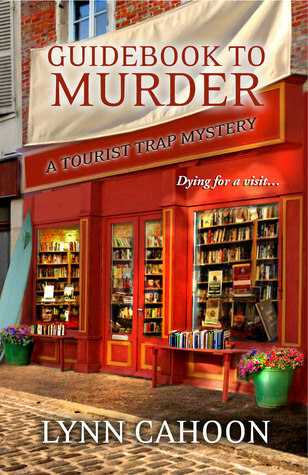 Love the cover to Guidebook to Murder, I love those intimate bookshop scenes. Always reminds me of that movie with MEg Ryan “You’ve Got Mail” Yay for coloring. I just got hooked into coloring and got my first book this week and found my latest addiction. hehe Hope you have had a fun weekend. Another blogger recommended that one to me and it was really cheap on amazon so I bought it. I hope to finish the page I started colouring this week and then share a picture next week and then I can write my review of it as well. Yay for you getting a colouring book as well, it’s addictive indeed! 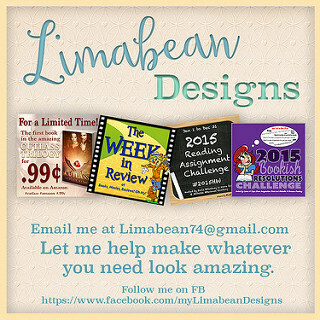 It sounds like you got a lot done, I know when things get slow you tend to get more productive on other things, Limabean Designs is so slow I think I’ll just have to wait till next year to get stuff moving on it. Just need to get myself a website. Need to check out the Pumpkin and Apple Risotto, I love Risotto and have been trying to find a recipe for just that. I always start doubting myself when work is less busy and try to focus on other things to keep my mind busy. I hope I finally get a new author again next week. It takes time to really get well known. That’s a good idea to order a colouring book online, they are a lot of fun and so additive. I plan to do a seperate post for the pumpkin and apple risotto later as I think it fits these months very well. It’s so yummy! You’re doing well with the blog ahead challenge, and I love that you’re posting about the books you DNF’ed in 2015! That’s a really good idea, as I don’t really like writing DNF reviews. I agree being les sbusy has it’s good and bad sides. I usually try to make things busy for myself in these weeks by doign more blogging and things I don’t have the tiem for otherwise. I got the idea to do a recap DNF post on the end of the year as I don’t post DNF reviews, but on the other hand still woudl like to mention them in some way as I do find other bloggers their DNf reviews helpfull. So we’ll see how that goes and if I like it I probably keep doing that each year. I got Yarned and Dangerous also and I’m doing well w/ Blog Ahead. Thanks for all the food info, now I have to go eat something! 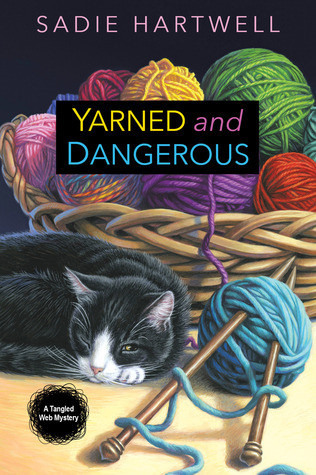 Yarned and Dangerous looks like it will be a fun one, I hope to read it soon. I’ve been requesting a lot of cozy mysteries on netgalley lately. Blog Ahead always makes me so motivated to egt posts written. All of those covers so leap at you with the vibrant colors. Makes me want to rush over and get them. LOL Sounds like you had a relaxing week and some fun. Yeah I got alot of colourful covers this week. I am getting too many new books, but there are just so many good sounding books around and I am in a cozy mystery book so I request those from netgalley when I see a first in a series. oh yayfor pumpkin cookies, they sound yummy i made some last year and they were really yummy. cript of the necrodancer looks like a lot of fun. Lots of fun new reads up there, enjoy! I’ll have to do a recipe post for the pumpkin cookies next time I make them, they were really good. Cript of the necrodancer is a lot of fun so far, we already go to the thrid stage of the four and the way you can only move in time of the beat makes for interesting gameplay. At least a slower work week meant you got loads of blogging stuff done. And I love how we can google nearly anything and find an answer to it there. I’m always googling blog stuff and it’s a great way to learn. Love that cover for Witch, it’s fab! I love both veggie and meat burgers, I can’t really pick between them! Our local butchers though makes up a fab one called sinless burgers and they have a very low fat content so that’s what I usually go for. Yeah it’s amazing how fast you can find the answer to a question with a quick google search. Even when used the wrong keywords I still found it easily. It’s a handy way to learn new things. It was nice to have time for some of those blogging tasks I usually don’t get to. I agree that cover for Witch is great. 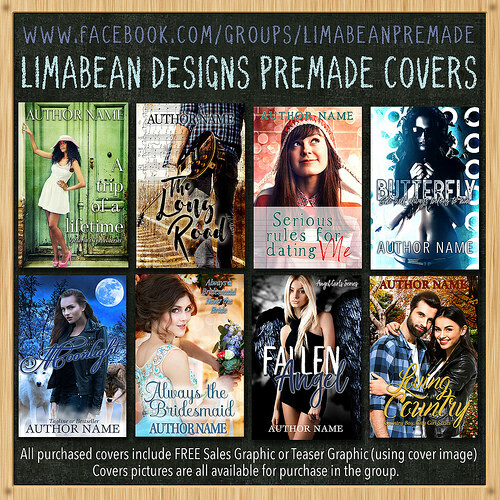 I really like all this author her covers! And so far her books are just as good. I am starting Witch this evening. I don’t like all veggie burgers, but some are really good. It must be nice to get meat from a local butcher. I usually just get everything from the supermarket. Those egg cookies look yummy! I want to bake something with pumpkin this week. I might do cookies too. Happy Sunday, Lola! I’ve been searching for some more pumpkin recipes to try out, I also have pumpkin pancakes on my list to make soon. Oh and pumpkin pie, that sounds delicious, but isn’t sold here, so I have to try and make it myself once. Your food finds do sound delicious. And so do some of your book finds. I love Jeannie Lin’s books. Yeah it sure felt good to finally get that tab up, it’s one of those small things I kept procrastinating as I didn’t knew how to do it and then to figure out it was so easy and finally add it there, it was nice. And that’s definitely one of the good things abotu a quieter week to get some of those things done I normally don’t have the time for, now let’s hope for a good busy week next ;). I read your review of that Jeannie Lin book awhile ago and when I saw it was one of the options of prizes to pick from I had to pick that one. It sounds like a good one. It can be read as a standalone right? Yes, this one can be read as a standalone. 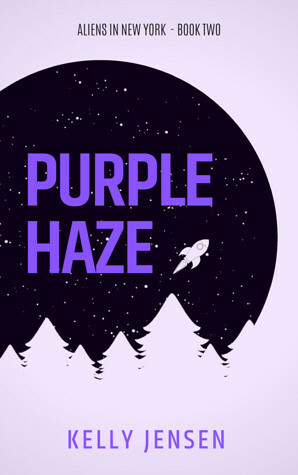 Her stories make connections to previous stories, but they are small and only someone who read the one before it would probably catch all the connections. I look forward to your thoughts on it. Thanks! That’s good to know! I probably will read this first then and if I like it I can always buy her other books as well. Yay for Japanese curry!! I love mine and my new “special recipe” is to add cut up apples to the potatoes, carrots, etc. They cook down and lend a nice sweetness to the curry. Really nice. Hey, that Chinese historical romance looks good! You’ll have to let me know what you think of it when you do read it. 🙂 I’ve heard good things about that author. And sometimes it’s good to have light weeks of work so you can kick back and relax a little. I’m glad you have some fun with video games and even managed to color! I love japanese curry, when my sister lived here she made it regulary, but I haven’t made it myself after my failed attempt. The recipe I used when I tried making it from scratch also added cut up apples, will have to try that when I make it again. I am glad I won that chinese romance book, it sounds like a good one and a blog I follow had good things to say about that author. I know sometimes a light week is good, but they just make me feel anxious as I don’t have enough to do. Sounds like you had a good week. Your December posts reminded me to get started on the Top Ten posts for this year. I participated in the blog hop last year for the first time but so it would be smart to work on it now. Thanks for reminding me lol! I’ve seen that curry sauce in our Asian stores. Do you always use that brand? I’ve been wanting to try some curry recipes but not sure which sauce to use. I usually do one or two end of the year posts and decided to some more this year, I add a topic idea or two each year ;). They are fun to write a nice way to look back upon the year. 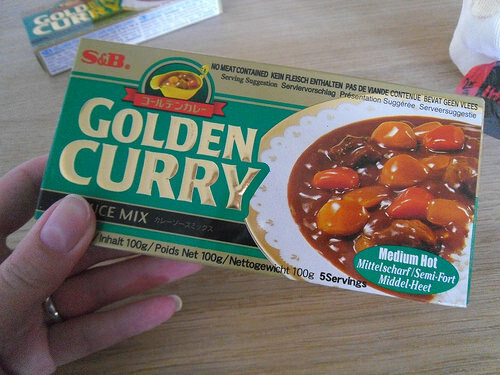 My sister used to cook japanese curry when she still lived in this house and she always used this brand to make it. It always tasted very good, so now I am going to try and make it myself. For indian curries I prefer to make my won sauce, but when I tried to make the japanese curry paste myself it faield so miserable I decided to just buy a package. Those Eierkoken sound good. Wish I could get something like that around here. And pumpkin cookies- I shouldn’t read blogs like this when I’m hungry LOL. Nice post on characters- I agree w/ all your points but especially realism. If a character doesn’t act realistic it always makes me roll my eyes. Why would they do something so dumb? LOL. I heard Guidebook to Murder was good. Hope you enjoy! They are very good, you might be able to make them yourself, but I haven’t tried that so far. The pumpkin cookies were really good! Realism is one of the most important things when it comes to characters, it can really get me out of the book when characters act too unbelievable. Another blogger recommended Guidebook to Murder to me, it sounded good and was cheap on amazon so I grabbed it. Oh I so hope you like Guide Book to Murder!! 🙂 Enjoy your new reads! Thanks for recommending it to me! When I saw it was so cheap I just had to grab it. 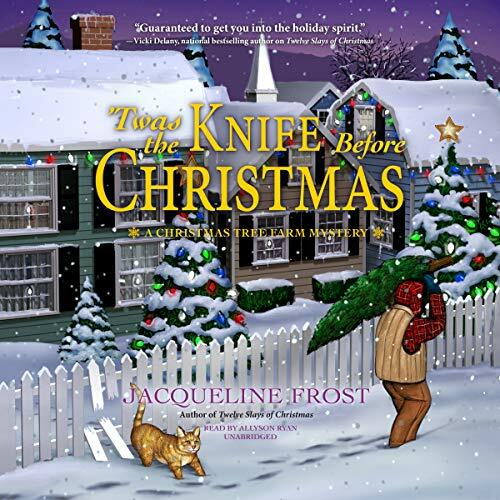 I am really in the cozy mystery mood lately and keep checking netgalley for new oens to add to my shelves and guidebook to murder was pretty cheap so I grabbed that too. Yes they sell Quorn here too, I like their dés blocks that are supposed to look like chicken. I usually add them to dishes instead of chicken when cooking one pot meals. It seems like you made good use of any extra time you had last week, Lola. You should be proud of getting so much done – don’t get down. 🙂 That’s wonderful you got so much blogging ahead done. I didn’t get as much done as I would have liked. And I’m excited over anything pumpkin so pumpkin cookies? Yum! Yarned and Dangerous looks cute. 😉 I hope this week is off to a good start! This week is off to a good start so far. It’s always a bit hard to focus my efforts elsewhere, when I want to do more work. I think I just have to accept there will be weeks like that and to focus on other things, but it’s still hard. I am glad with the blogging progress I made. I am looking forward to make some pumpkin dishes, still trying to find some more recipes. I have pumpking pancakes planned for later this week. The pumpkin cookies were really good, will make them again soon and feature them on the blog as well. Nope it’s not a how to book, it’s a cozy mystery book. I love that girls hair on the witch cover!! So pink! I do like the sound of Javanese Schnitzels, it looks delicious – I am not a veggie but a lot of time I prefer a veggie burger over a meaty one! 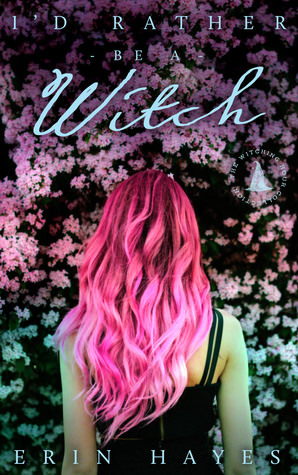 It’s pretty that pink hair on the cover, I really like this author her book covers, they are all so pretty, although this might be my favourite so far. There are some great veggie burgers they sell here. They have gotten more variety and better ones in the past few years, but these javanese schnitzels are still my favourite. Those cookies sound really good. I bought my favorite pumpkin chocolate chip cookies that are cakey from Smith’s grocery store. It’s the only place I’ve ever found them. This is the first time I tried pumpkin cookies, I really like them. That’s great you have a store that sells them! 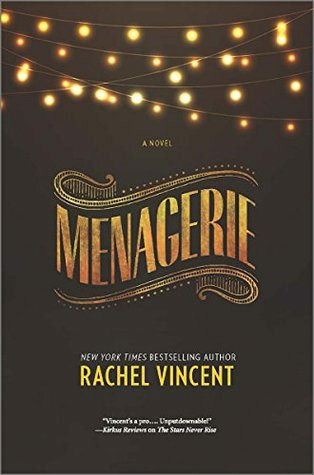 I just finished Menagerie today. I loved it, but it is pretty dark, especially if you compare it to Rachel Vincent’s other work. I hope you enjoy it as much as I did. I heard a lot of people mention it’s darker than her previous work, which makes me a bit more hesistant to read it, but I also heard good things about it. I hope I’ll enjoy it as well. 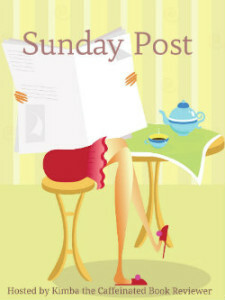 I always get hungry when I visit your Sunday Post, Lola! lol Good luck with your new books and Blog Ahead!! Sorry for making your hungry ;). I enjoy talking about food. I am really happy with the new books I got this week, although I really should stay away from netgalley mroe often. Uncertainty around work can be really stressful can’t it? I’ve been a bit the same over recent months and it plays on your mind constantly. I love my job, but the uncertainty can be hard to deal with at times. I a hoping there will be a time when I make enough money that those slow weeks bother me less. Luckily this week is turning out to be more busy, so that’s a nive change. And I got less blogging done this week, no posts that count so far, so I am glad last week i got some done. 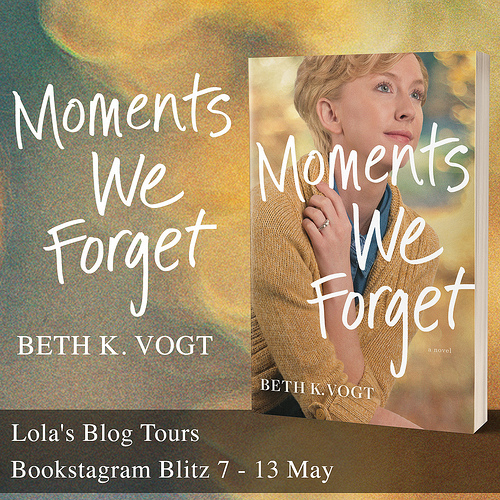 Lola recently posted…Lola’s Ramblings: What do you like to see in stories?